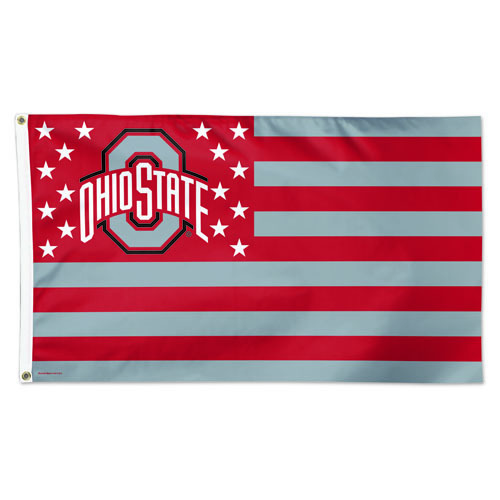 Fly your The Ohio State University pride with this Ohio State Buckeyes Silk Screen Grommet Flag. This Silk Screen Grommet Flag features a team logo with white stars and team color stripes. Flag pole not included. Go Buckeyes!